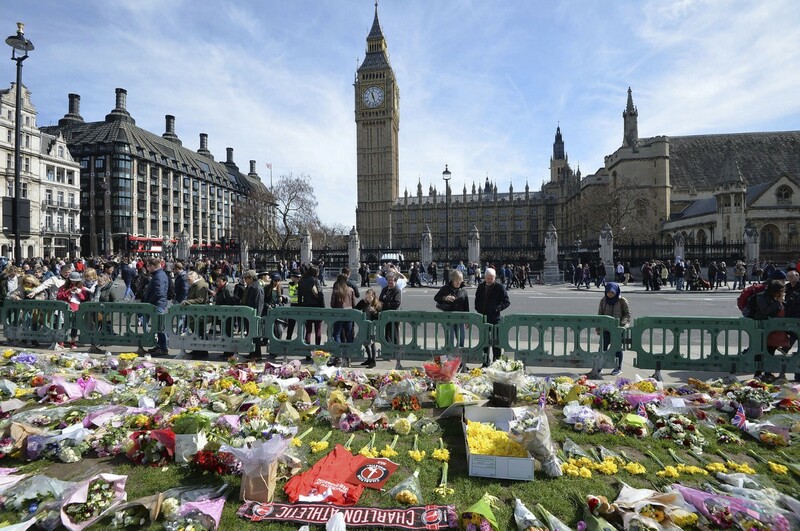 Last Wednesday afternoon, a malicious savage got behind the wheel of a car and plowed through a crowd of strolling civilians on London’s Westminster Bridge. Khalid Massood then left the car and lethally stabbed one more victim before being fatally shot by police. His rampage killed 5 and injured 50. Here we have a vivid representation of civilization versus savagery. The Westminster Bridge pedestrians represented civilization: the way of life of the civilian. As I explained in a recent essay, the core of civilization is the division of labor. And indeed, Massood’s victims were almost all specialized producers. Andreea Cristea, who was forced off the bridge and into the River Thames, is an architect. She was rescued by boat operators (who thus distinguished themselves as eminent civilians) and is in serious condition. Leslie Rhodes, who was sent flying into the air and crashing head-first into the pavement, was a retired window washer. He later died of his injuries. The division of labor breeds economic interdependence, which in turn breeds civility and mutually-recognized individual rights. Thus, Ludwig von Mises regarded the division of labor as the ultimate source of civilization. And indeed, before the attack, the strangers on the bridge were surely rubbing along peacefully and politely, making for each other all the subtle adjustments in path and pacing that pedestrians make every day on urban thoroughfares all around the world. Peaceful economic cooperation, including foreign trade, creates material abundance, thanks to which civilians (and city dwellers especially) can afford cultural and leisurely pursuits: like taking a stroll on Westminster Bridge, where you can pose for pictures with Big Ben in the background. Civilization is most vividly represented by the human city. And in all of the above respects, the London metropolis is one of the greatest centers of civilization in human history. Massood’s attack was a barbarian invasion of this civilized scene. Through the crowd’s harmony and spontaneous order, he cut a swath of carnage and chaos. He looked on his victims as a savage warrior looks on members of a rival tribe: not as fellow individual civilians with rights, much less potential trading partners, but as members of an enemy population to be eradicated. Just as individual rights and harmony are the essence of civilization, collectivist (tribal) warfare is the essence of savagery. That very same week, another savage attack on civilians occurred in a different city. A different tribal warrior got behind the controls of an aircraft and dropped a bomb on a building, killing over 130 civilians: men, women, and children. Airstrikes elsewhere in that city killed another 100 civilians. The act was no less barbaric for the facts that the attacker was an American military pilot, the victims were Iraqis, and the city was Mosul. Neither is the crime absolved by the fact that the civilians were not the targets of the strike, but were “collateral damage” in a war against the savages of ISIS. Again, savagery is characterized by collectivist violence. And it is rank tribalism to regard “accidental” civilian massacres to be acceptable, simply because the victims are foreigners. Although precise numbers are difficult to obtain, there seems little question that the number of civilians being killed by the U.S. in Iraq and Syria — already quite high under Obama — has increased precipitously during the first two months of the Trump administration. Data compiled by the site Airwars tells the story: The number of civilians killed in Syria and Iraq began increasing in October under Obama but has now skyrocketed in March under Trump. What’s particularly notable is that the number of airstrikes actually decreased in March (with a week left), even as civilian deaths rose — strongly suggesting that the U.S. military has become even more reckless about civilian deaths under Trump than it was under Obama. Any individual who pursues a course of action that he knows will directly result in the killing and maiming of civilians to that extent renounces his own status as a civilian: as a participant in civilization. He thus degrades himself to the level of a savage. This is true irrespective of his tribe, country, or office. The twin savageries of state warfare and terrorism (non-state warfare) are intimately related. Iraq, formerly known as Mesopotamia, is where civilization and the city first emerged. This land, known as “the cradle of civilization,” is now overrun by ISIS barbarians precisely because well-groomed western tribal warriors, enraged by the tribal violence of 9/11, bombed its cities back to the Stone Age and then drove its society into sectarian/tribal civil war. Iraq, at the time a highly secular society, had literally nothing to do with 9/11, which was perpetrated by religious extremists, mostly from the US-backed theocracy of Saudi Arabia. But in tribal warfare, there is no patience for such subtle distinctions. Muslims were identified as the enemy tribe, and Muslims had to pay for what happened to “our tribe”: it didn’t much matter which Muslims. The decade and a half of hyperactive war and intervention by the West throughout the Muslim world since 9/11 has shattered a civilization that previously was basically stable, plunging the Greater Middle East into chaos and barbarism. This has radicalized some Muslims in the West, who then savagely perpetrate tribal retribution against innocent Western civilians: like Massood’s car attack in London. These attacks in turn radicalize Westerners, especially nationalists, into tribal animus against Muslims in general, which feeds into support for policies that lead to still greater chaos in the Middle East and still greater casualties among Muslim civilians: like Trump’s increase in airstrikes in Iraq and Syria. Tribal collectivism is the engine that keeps this cycle of violence spinning out of control. What makes the difference between savagery and civilization is not one’s identity, but one’s actions. Savagery is as savagery does: on an individual level. The prospects of peace and security hinge on our breaking the cycle of savagery: on our ability to respond to both terrorist attacks and military airstrikes, not with tribal (national, cultural, religious, racial, etc) solidarity, but with solidarity toward our fellow individual humans of any background in their civilian capacity (whether in London or Mosul), and against the savagery of collectivist violence of any form. We still do not know Massood’s exact motivations or affiliations. But it is probably telling that after barreling through a crowd of civilians on Westminster Bridge, he crashed into the gates of Parliament and charged on foot into the grounds of Westminster Palace, where Parliament had just finished meeting for Prime Minister’s questions. It was there that he claimed his last victim, plunging a knife into Keith Palmer, an unarmed palace guard. The police officer who took Massood down was part of the security detail of British Defence Secretary Sir Michael Fallon. “Inside the House of Commons, there was further drama. The Prime Minister and other MPs were in the voting lobbies, voting on new pensions legislation, when armed police burst in, guns raised, splintering the wooden doors. Over their walkie talkies, colleagues were shouting “there’s been a bomb, there’s been a bomb!”. Savagery was not limited to Westminster Bridge, but also happens regularly within the halls of Westminster Palace. It is a plain fact that, in addition to pension legislation, these very same people (especially Prime Minister May and Defence Secretary Fallon) make policies that culminate in British pilots savagely dropping bombs on Muslim civilians. It wouldn’t be surprising if that fact crossed Massood’s mind before he did his own savage deed, whatever other motives he may have also had. That wouldn’t make his crime any less evil. But the connection is crucial to understand for friends of civilization who seek to thwart the spread of evil. London, it must be remembered, is not only a commercial and cultural center, but it has long been an imperial capital. It started as an Imperial Roman garrison town. William the Conqueror made it the seat of power for himself and his successors. And the parliamentary government that rules there now acts as a junior partner in the western hegemony that feigns to provide security and order to world civilization. But instead of security and order, the savage military policy of this hegemony only engenders danger and chaos. The imperial aspect of London is what imperils the harmony and safety built up by its commercial and cultural aspects. The war-makers in Westminster Palace endangered the civilians on Westminster Bridge, just as the war-makers in the Pentagon endangered the civilians conducting world trade in the World Trade Center.